The lawn in Bega’s Littleton Gardens will be revitalised this weekend (Sept 17 & 18) using compost made from the Shire’s green waste collection. Following a review, Council will be implementing a program of aeration, topdressing, fertilising and oversewing of the lawn areas to provide a more robust and healthy lawn for the Shire’s residents. This program of work is timely with the Bega Farmer’s Markets to go weekly before the end of the year. The compost is made from garden organics and other green waste material that is received at the Merimbula Waste & Recycling Centre. There the raw material is shredded and laid out in windrows to initiate the composting process. Over the following 10 to 12 weeks the windrows are monitored, turned and watered on a regular basis to provide the ideal conditions for pasteurization and decomposition, resulting in compost that provides the essential nutrients for productive plant growth and healthy soils. Council’s compost, with its high organic carbon content, will help increase the water and nutrient holding capacity of the lawn areas in Littleton Gardens. 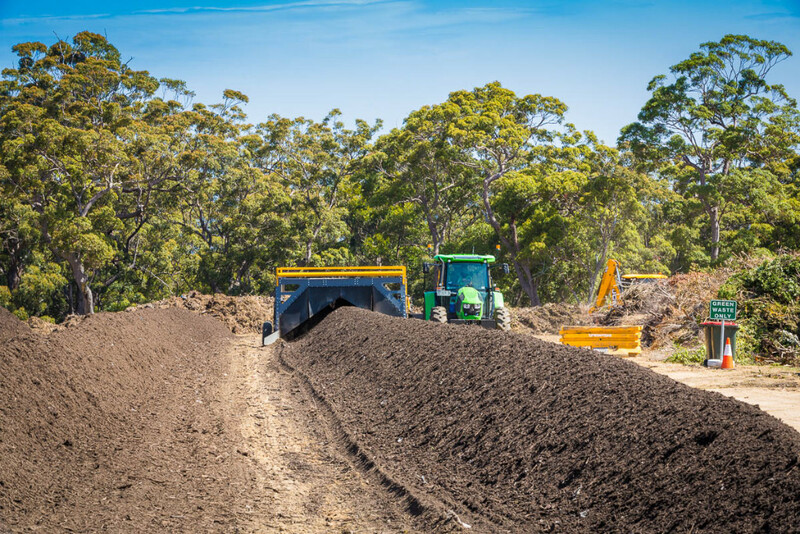 The compost produced by Bega Valley Shire Council meets the requirements of the Australian Standard for Composts, Soil Conditioners and Mulches (AS 4454: 2012). The compost is currently available to the community from the Merimbula Waste and Recycling Centre for $16 per cubic metre, and is an ideal product to incorporate into your home garden and for topdressing your lawn. This weekend’s topdressing in Littleton Gardens follows the installation of the Two Rivers sculpture on Thursday, and marks another step forward in the activation of this important civic space. Any queries should be directed to Council’s Leisure and Recreation Officer, John Turville or Council’s Compost & Organic Waste Officer, Mick Yarra on 6499 2222.